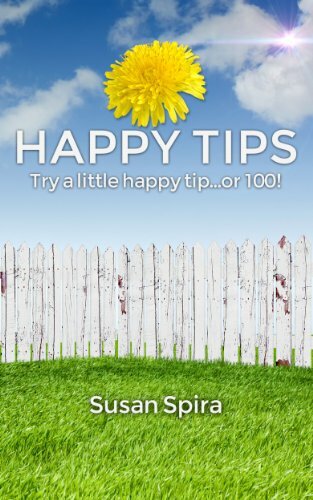 Happy Tips is a collection of 100 quick and easy self-edits for greater personal joy and fulfillment. Written in a fun, down-to-earth, practical style, Happy Tips is like having a friend on your shoulder prompting you to take care of yourself. Poignant, real-life applications presented with everyday talk and emotional support. A book you will read again and again to embrace your life, your joy, and your best. Happy Tips is a great investment in your personal happiness bank.